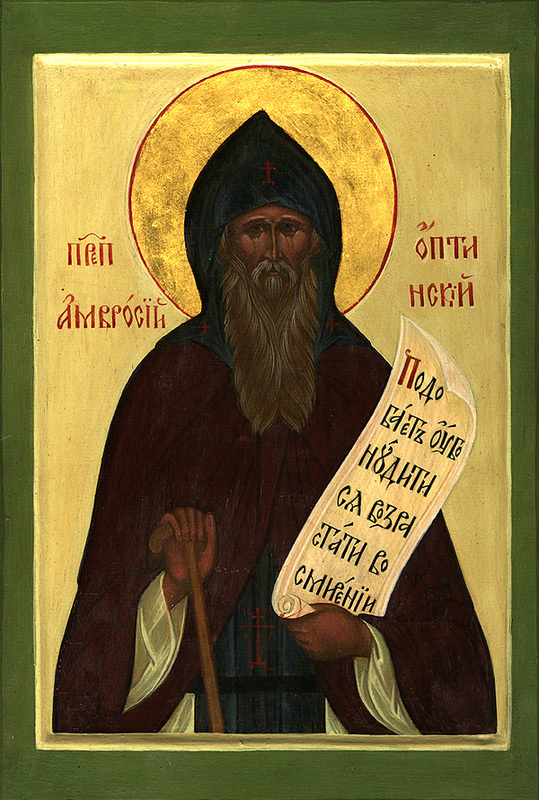 St. Ambrose of Optina: In the beginning, envy is revealed through . . . In the beginning, envy is revealed through inappropriate zeal and rivalry, and later by fervour with spite and the blaming of the one who is envied. This entry was posted in Sayings from Saints, Elders, and Fathers, St. Ambrose of Optina and tagged Blame, Envy, Quotes of the Optina Elders, Short Quotes, Spite on August 29, 2015 by . 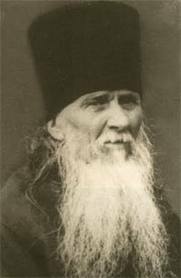 St. Ambrose of Optina: Our invisible enemy plants a sinful thought . . . This entry was posted in Sayings from Saints, Elders, and Fathers, St. Ambrose of Optina and tagged Judgement of God, Quotes of the Optina Elders, Short Quotes, Soul, The Evil One, Thoughts on October 5, 2014 by . 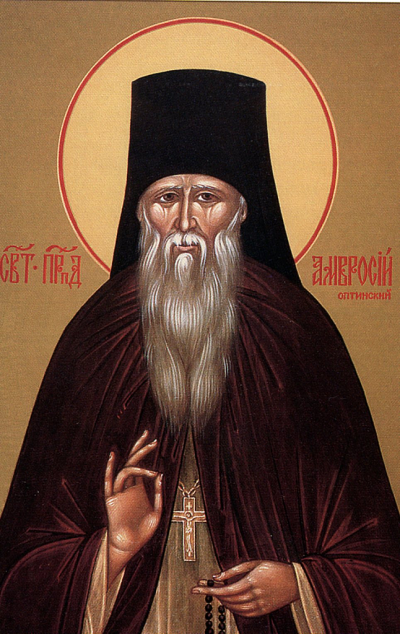 St. Anthony of Optina: Can you place your hope in the world? . . . This entry was posted in Sayings from Saints, Elders, and Fathers, St. Ambrose of Optina and tagged Deception, Hope, King David, Living in the World, Material World, Old Testament People, Quotes of the Optina Elders, Sin, Trust on August 8, 2014 by . St. Ambrose of Optina: How does a person become bad? . . . This entry was posted in Sayings from Saints, Elders, and Fathers, St. Ambrose of Optina and tagged Fear of God, Forgetting God, Quotes of the Optina Elders, Short Quotes, Sin on August 6, 2014 by . 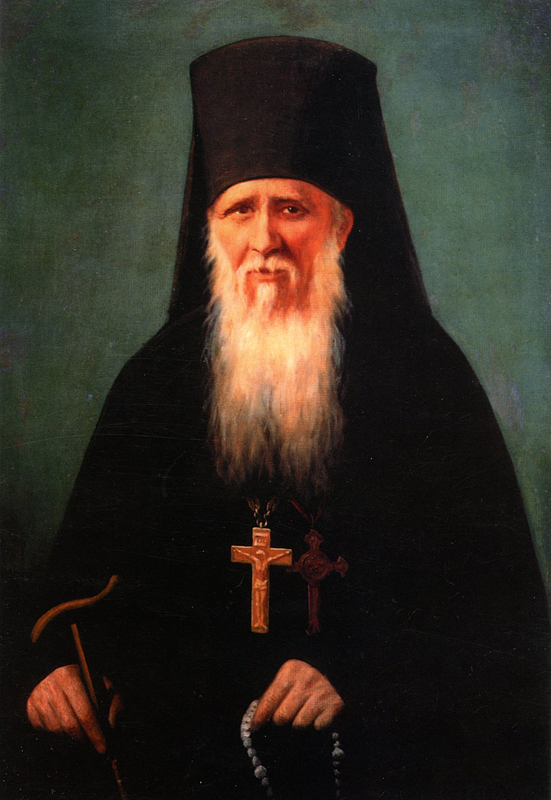 St. Ambrose of Optina: . . . Especially since it rejected the decisions of the Ecumenical Councils the Roman Church should not be called catholic, as it follows its own incorrect theorizing. For all the stated reasons, the Catholic Eastern Church severed its communion with the local Church of Rome, which had fallen away from the truth and from the canons of the catholic Orthodox Church. Just as The Roman bishops had begun with pridefulness, they are also ending with pridefulness. They are intensifying their argument that allegedly the Orthodox Catholic Church fell away from their local Church. But that is wrong and even ridiculous. Truth testifies that the Roman Church fell away from the Orthodox Church. Although for the sake of imaginary rightness papists promote the view that during the time of union with the Catholic Orthodox Church, their patriarch was first and senior among the five patriarchs, this was true only for the sake of Imperial Rome, and not because of some spiritual merit or authority over the other patriarchs. It is wrong that they called their Church “Catholic”, i.e. universal. A part can never be named the whole; the Roman Church before its fall from Orthodoxy, comprised only a fifth part of the one Catholic Church. Especially since it rejected the decisions of the Ecumenical Councils the Roman Church should not be called catholic, as it follows its own incorrect theorizing. 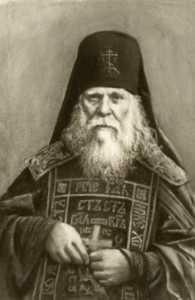 This entry was posted in Sayings from Saints, Elders, and Fathers, St. Ambrose of Optina and tagged Canons, Councils, Defending Orthodoxy, Latins/Roman Catholics, One Church/Church Divisions, Orthodox Faith, Pope, Pride, Quotes of the Optina Elders, Supremecy of the Pope, The Great Schism on May 25, 2014 by . St. Ambrose of Optina: If someone offends you . . . This entry was posted in Sayings from Saints, Elders, and Fathers, St. Ambrose of Optina and tagged Humility, Judging, Offense, Quotes of the Optina Elders, Secret, Silence, Sin on January 9, 2014 by .